A new pattern has been born. 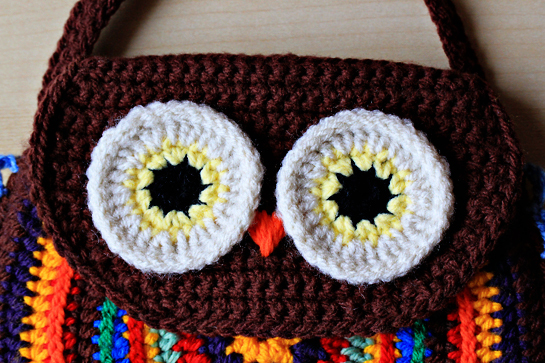 This time it’s Crochet Owl Purse! I have to admit that I have fallen in love with owls completely …and with all big-eyed creatures in general, to tell you the whole truth. The pattern took me about one week to prepare – from the very first idea up to editing the last picture and writing down the last word today. I love it when a cute idea comes. I sketch and jot down notes. Then comes the mess… and taking about a zillion pictures… and many mugs of hot tea milk. I love this phase the most. 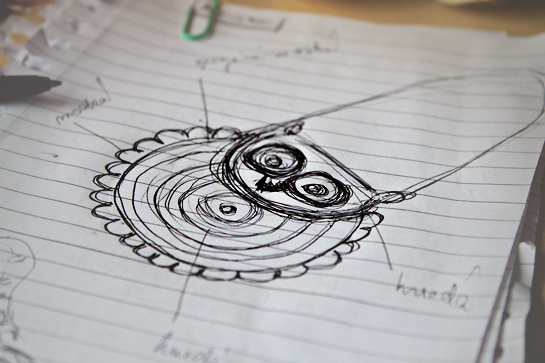 And I like when the real thing resembles the initial idea. This doesn’t happen that often, which is why I really cherish moments like these. It was a lot of fun creating this pattern. 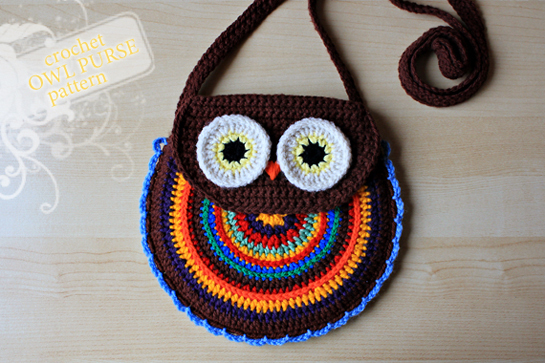 In case you’d like to learn a little more about it, or would like to make a purse like this yourself, please visit my ONLINE SHOP. What a beautiful purse! It looks like that Owl is smiling. It’s so cute! I love the big eyes, and I love your mug too! 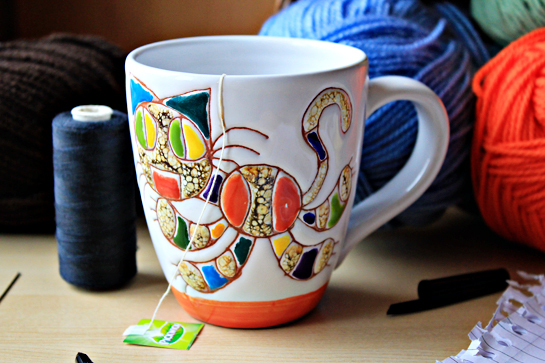 Can you please tell me where that cat mug came from? I must make one of these! I am a parent volunteer with my son’s Scout Troop and our parent patrol are the OWLS! 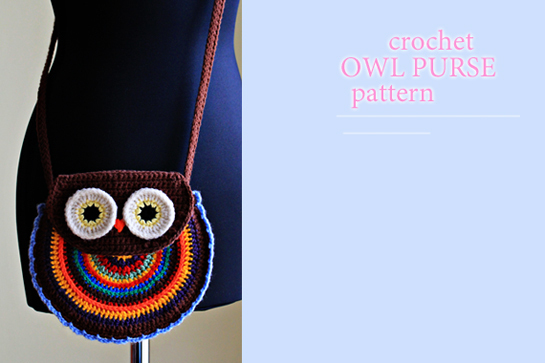 I’ll rush over to your website so I can purchase the pattern! Thans so much! I loved that cute owl! Just bought this can’t wait to make it for my grandaughter. Love the bright colors. 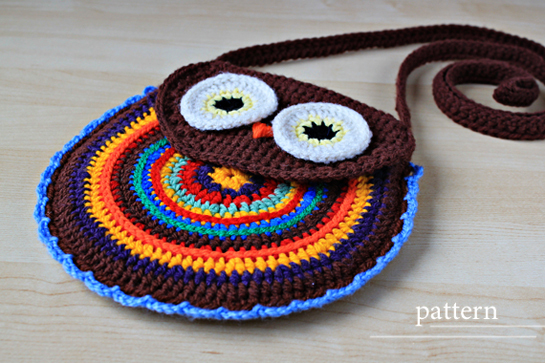 Hey Petra… I purchased the Owl purse and fingerless gloves a few weeks ago, and just finished making them for my grand daughters birthday. They turned out beautifully! Your patterns are written perfectly and they are so easy to understand, especially with the photos you provide. I have only been crocheting for a year, and sometimes I have a problem understanding the pattern, but yours are so detailed that it’s almost impossible to mess it up!!! Thanks for all your hard work and lovely patterns!!! Thank you for your very kind words. I am pleased you liked the patterns! Happy crafting to you! Precioso el bolsito búho. Me encanta!